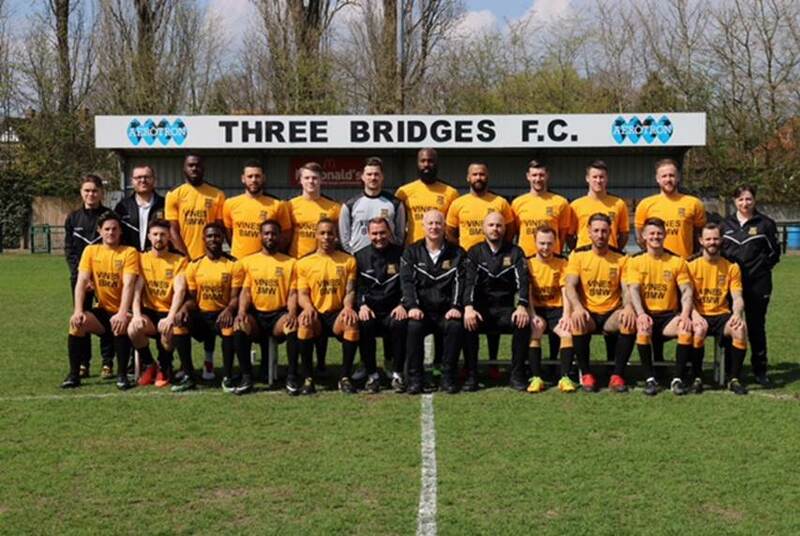 A brilliant win that guarantees Bostik League football for Bridges again next season, although Whyteleafe looked dangerous in the opening stages with James Shaw having to make a save inside the first minute as the dangerous Adam Aziz fired a free kick goalwards. The first of many fleet footed runs by Andrew Sesay finished with a shot against the post as Bridges forced their way into the game, whilst Brannon O'Neill saw a curler held and Bentley Graham headed off the line following good play by Connor French and O'Neill. It was now Whyteleafe's turn to respond with both Bradley Wilson (twice) and Andre McCollin testing Shaw. But two minutes before the break, a delightful dummy by Ibby Akanbi left Reece Hallard with a clear run down the right and his cross found Sesay, who was blocked twice before Connor French netted from close range. Shaw made another good save from Aziz at the start of the second half and McCollin shot straight at the Bridges keeper. In between these efforts, French sent Sesay away on the right and his cross found O'Neill, who was blocked at the last moment. Not to be outdone, Bridges produced an almost carbon copy of the move after 64 minutes, French again finding Sesay, who left his marker well behind before finding O'NEILL, who rifled past keeper Tyler McCarthy. With the visiting defence, in which Antone Douglas was outstanding, looking totally comfortable by now, Leafe only had a last minute effort by Bryan Akongo to test Shaw after two determined blocks, and in added time Bridges might have had a third when French found himself clear but he hesitated before realising he was onside and allowed McCarthy to recover. Bridges finish their season with a home game against Whitstable Town this Saturday.